Aliza Gardens - 14 brand new townhouses on Railway, near Granville Ave with six townhouses of detached style and eight townhouses of duplex style. Favourable location on west Richmond with walking distance to the parks and MacKay Elementary and Burnett Secondary. 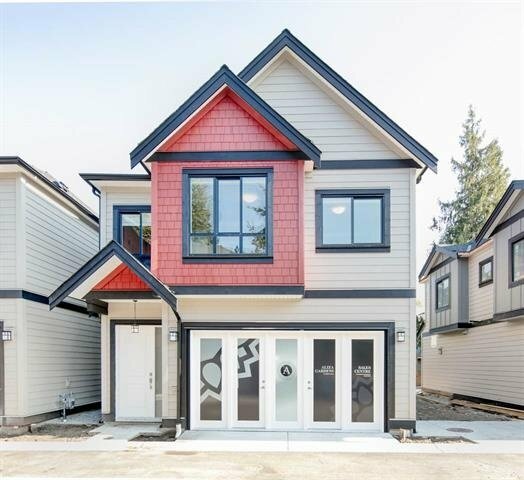 2 level townhouses feature 1360 to 1590 sqft living area, high ceilings on the main floor, radiant floor heating and air conditioning. Bosch and Samsung stainless steel appliances. Double side by side garage is included.